We are always looking for new recruits to portray townspeople, garrison soldiers, Native Americans, and buccaneers! Our focus is on an accurate historical impression, using correct materials, styles, and equipment. You need not be a historian, actor, or military enthusiast to participate. The 13th annual, historical re-enactment of The Sack of St. Augustine: Capt. Robert Searle's Raid of 1668 will take place March 3rd-6th 2011, in St. Augustine, Florida. Camp setup will begin on Thursday March 3rd after 12pm at The Fountain of Youth Park. The battle in downtown St Augustine will be held on Saturday March the 5th at 5pm, starting in the city Plaza and ending at the Spanish redoubt located across from the Castillo de San Marcos. .No "skull and crossbone's" will be allowed. Not on Flags, clothing, or gear of any kind. There is no historical evidence of these standards flown in this time period. · English buccaneers and Spanish soldados - musketeers are needed! Matchlock, snaphaunce ,doglock, and miquelet muskets will be accepted. Queen Anne pistols will be allowed. Research shows them being used as early as 1660. 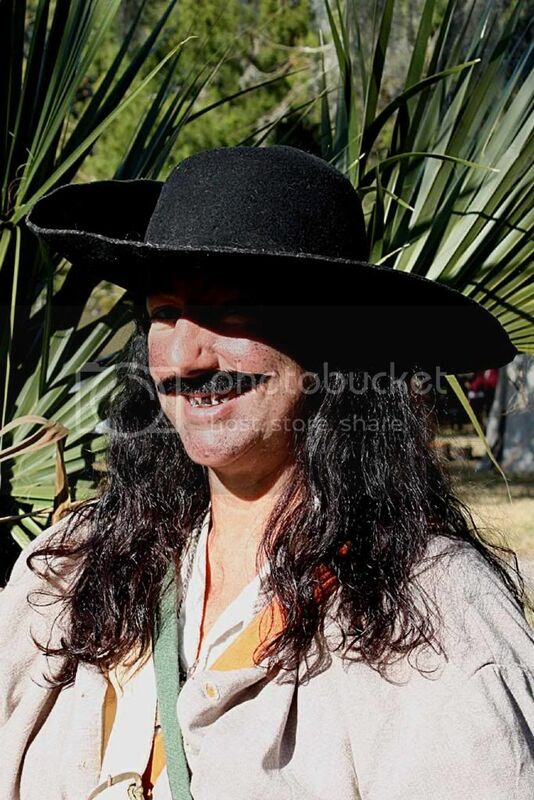 · Native Americanre-enactors, doing Timucua, Apalachee, and Guale, are especially welcome! · If you are a sutler and interested in selling period correct items at this Event, please contact me asap at jeffjohnsonfl@yahoo.com. There are no sutler fees! · The Fountain of Youth Park has just completed a new addition to the park; a restroom and shower facility! Damn I am visiting St Augustine in August. I should have timed it better to coincide with this. Once again, I will be there, capturing souls with my canon. Your services are always appreciated DB, will see you there! I will be comming and although I may be short a hat and vest I should have the english lock grenade launcher finished as well as my wheellock pistol Im currently working on. My wife and I plan on attending. The Lass and I will be attending again this year. And I'll add you to our contact list. Some of you may have provided your email at recent event registration but if you have received anything in the past year please email me again to make sure I have the right address! Is there still time to sign up or am I too late? I'll be there for the whole weekend this time. madPete and Shay of the keys are planning on it as well - see you all there! I hope she shaves this time. It will be good to have your and Shay joining us on the battlefield. This is a period tavern with cold beer and good prices(they also have great Sangria!). Bring your feast gear and mugs and join us for the festivities. Does a haversack count as a period correct doggy bag? She be missin teeth? Can't rightly tell.